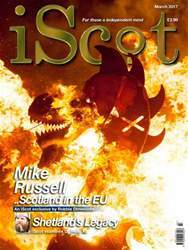 Since iScot is for those o independent mind, I was thinking independently and laterally whether poverty could be changed in an independent Scotland and sadly, realised it can’t be. And it’s nothing to do with wanting independence. With current Scottish child poverty statistics at approximately 1:5 children (about 210,000) and an undeniable effect on educational attainment, Holyrood is commendable for its initiative to tackle what other OECD governments have tried unsuccessfully to do. The number of Scottish children in abject poverty is shameful for such a resource rich, first world country. And I hear the battlecry, ‘But when we’re independent…it’s all Westminster’s fault’. Tragically, for 210,000 children, independence won’t fix it either. It’s a global problem, on governments’ agendas around the world. Organisations and government bodies continually produce reports, all making recommendations and while some parts may get fixed, on the whole nothing really changes. I’ve been part of that system in Australia and even as I wrote reports I frustratingly knew nothing would really come of them. It was an uphill battle in a system run and designed to keep politicians happy.